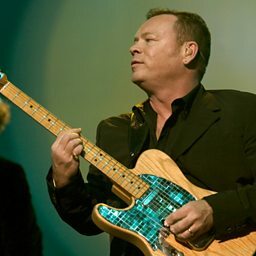 UB40 are an English reggae and pop band, formed in December 1978 in Birmingham, England. The band has had more than 50 singles in the UK Singles Chart, and has also achieved considerable international success. They have been nominated for the Grammy Award for Best Reggae Album four times, and in 1984 were nominated for the Brit Award for Best British Group. UB40 have sold over 70 million records worldwide. The ethnic make-up of the band's original line-up was diverse, with musicians of English, Welsh, Irish, Jamaican, Scottish and Yemeni parentage. Their hit singles include their debut "Food for Thought" and two Billboard Hot 100 number ones with "Red Red Wine" and "Can't Help Falling in Love". Both of these also topped the UK Singles Chart, as did the band's version of "I Got You Babe". Their two most successful albums, Labour of Love (1983) and Promises and Lies (1993), reached number one on the UK Albums Chart. 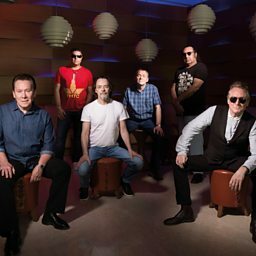 UB40 and the English ska band Madness hold the record for most weeks spent by a group in the UK singles chart during the 1980s, with 214 weeks each.